Two Melbourne men are breathing a sigh of relief after a good Samaritan returned their lost house deposit. 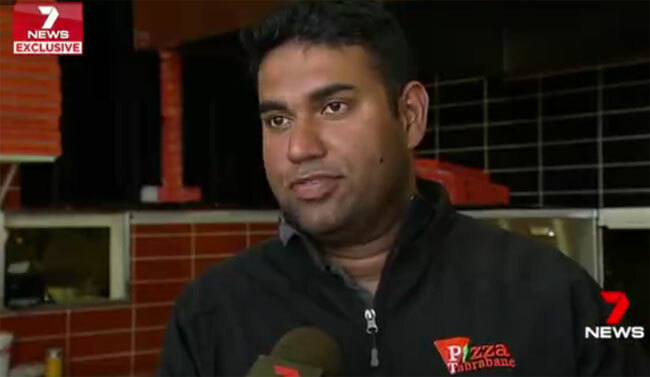 The two men had just withdrawn 19,500 Australian dollars (Rs 2.46 million) in cash when they had a pit stop at the Pizza Tabrabane Tarneit in Australia. While waiting for the pizza, the cash (in an envelope) fell out of one of the men’s pocket and they later walked out without it. It wasn’t until a delivery driver saw it, picked it up and returned it to the Sri Lankan shop owner, Shakir Arafath that it was in safe hands. The shop owner is reportedly a Sri Lankan national hailing from the town of Warakapola.